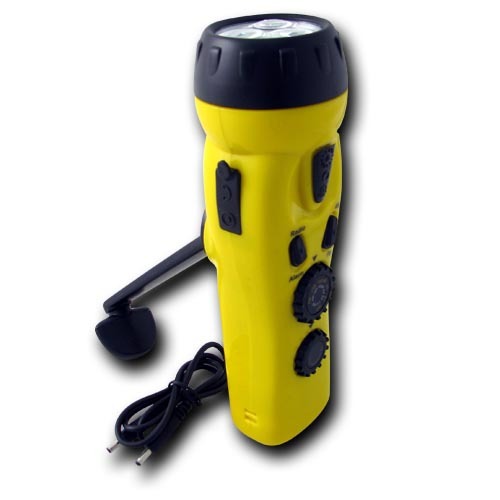 Three Super Bright White LED's, Hard Plastic Body, AM/FM Radio,Cell Phone Charger w/ cables, Emergency Siren. on orders over $100 within Greater Vancouver and the Fraser Valley in BC. Remember to have an Emergency Preparedness Kit in your Home, Office, School, and Vehicle.